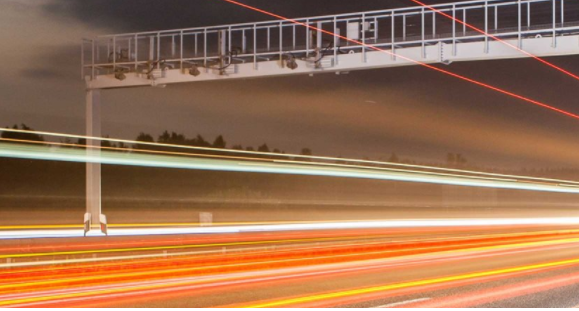 Kapsch TrafficCom is a provider of intelligent transportation systems (ITS) in the application fields of road user charging, urban access and parking, road safety enforcement, commercial vehicle operations, electronic vehicle registration, traffic management and V2X cooperative systems. Kapsch TrafficCom covers with end-to-end solutions the entire value creation chain of its customers as a one-stop shop, from components and subsystems to their integration and operation. The solutions of Kapsch TrafficCom help to provide funding for infrastructure projects, to increase traffic safety, to optimize traffic flow, and to reduce environmental pollution from traffic. The core business is to design, build and operate electronic toll collection systems for multi-lane free-flow traffic. In 1868, the first traffic lights were installed in London. Today, modern traffic volumes call for new political and technical approaches. The methods applied vary from country to country, city to city, and road to road. Our technologies can be adapted to any of these. Charging usage-based tolls is the most efficient and fair way to control road traffic, finance the traffic infrastructure, and offset ancillary expenses such as environmental pollution.